Woah what is this? I’m actually writing another blog so soon to my last one? I’m going to be bringing more great content to you guys as to keep y’all entertained! This past Friday night I made my way to Jack’s on Queen to participate in Friday Night Magic! Upon arrival I was torn between participating in either a standard or modern event. I decided to go with standard as I was pretty ‘moderned out’ after the Grand Prix. 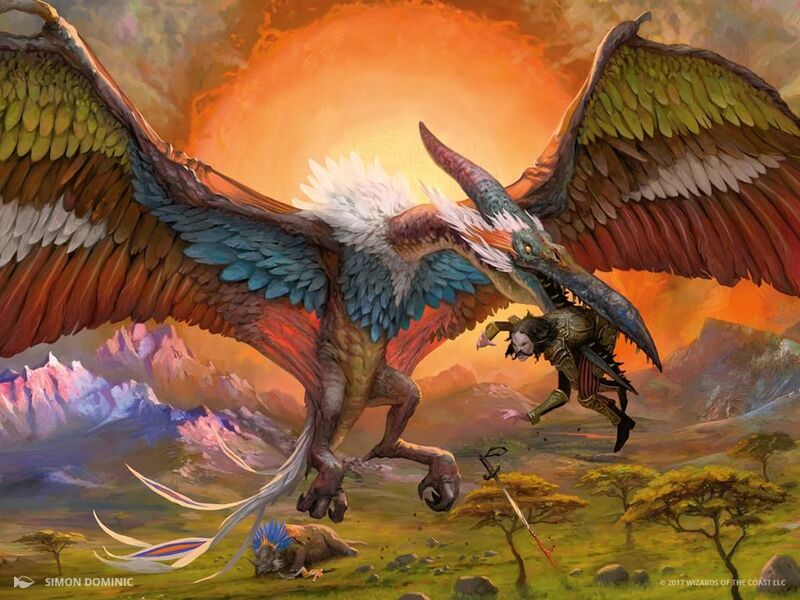 After the standard ban hammer attempted to fell energy decks, Wizards of the Coast also preemptively gave the axe to Ramunap Ruins and Rampaging Ferocidon, so that Ramunap Red would not immediately take over the format. The unfortunate situation being Ramunap Thicc was my only standard deck, so I took a look at some of the new cards and decided to splash white. I messed around with the mana base and added Path of Mettle as a new and improved form of Ramunap Ruins. Both games found my opponent having significant land troubles. Game one was quite close as my opponent got off to a blistering start with two copies of Kumena’s Speaker. These one drop little monsters got in for quite a few chunks of damage before they were shocked or bolted. Game two my opponent hit two lands and never saw a third. He was only able to play one spell a turn, and about half of his hand were three drops. I can tell my opponent was on to something with this deck, but he just got a super tough break. 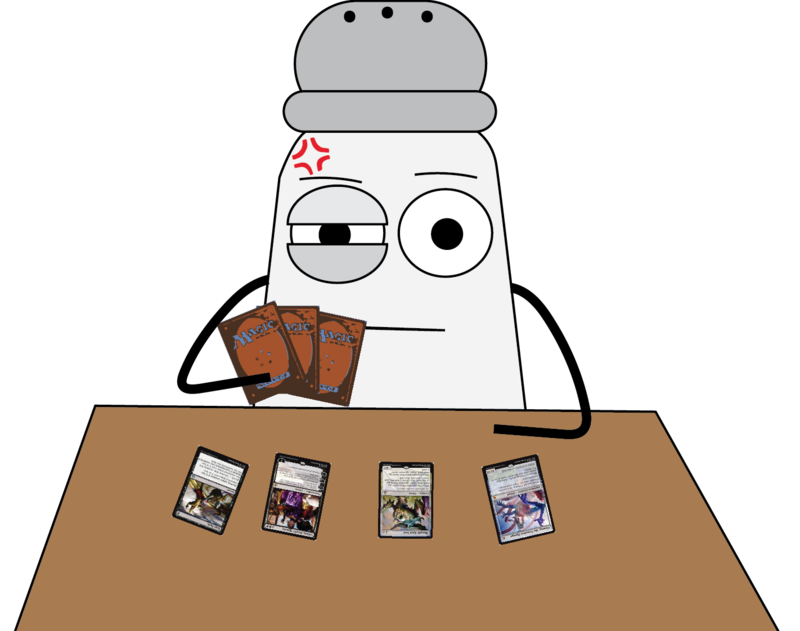 So round two I played against a younger gentleman equipped with a red, green, and white dinosaur deck. Game one got carried on the back of a lone Bomat Courier. This little construct that could did a total of five points of damage and net me six cards when I finally cashed him in. I got out to a blistering start and my opponent really didn’t stand a chance game one. Game two was quite the opposite, my opponent slammed two copies of Otepec Huntmaster. Dinosaurs are already good value, but making them cost less is insane. Not only did he have a wall of chunky dinos, but Kinjalli’s Sunwing made all of my hastey creatures come in tapped. Which also means that Hazoret the Fervent was unable to block when I needed her to, we moved to game three. Game three was a very close match. I got out to an early lead with some haste creatures and a copy of Path of Mettle. I managed to flip it on turn four into Metzali, Tower of Triumph. This legendary land has two abilities, the first allows you to pay two mana and tap the land to shock each opponent; or you can pay three and tap the land to destroy a random creature that attacked this turn. Using this land I was able to make destroy a copy of Ghalta, Primal Hunger, as it was the only creature declared as an attacker. I also used the shock ability to finish off my opponent once they finished blocks and went down to two life. Well played little man, well played. These three games were the nuts. Something my opponent and I both realized after game one and it was how our match hinges on whom plays first. We were both running copies of Bomat Courier and sure enough we both had it turn one. Only difference was that my opponent’s turn two was Metallic Mimic naming constructs, into Walking Ballista for zero, meaning it would enter the battlefield with a +1/+1 counter. My opponent stuck a copy of Scrap Trawler, and managed to combo off with the cheaper artifacts in his graveyard, eventually sacrificing a courier to grab a Ballista, cast it for two and finish me off with it. Game two I had a super cheeky interaction. My opponent controlled two copies of Ballista each with two +1/+1 counters on them. I had two copies of Soul-Scar Mage, and a Bomat. I cast Path of Mettle, triggering prowess on both SSMs, I asked my opponent if he had any responses to the enter the battlefield trigger of Path of Mettle and he said nope, so I proceeded to put -1/-1 counters on all of his creatures as per SSM’s replacement effect. This completely buggered his entire game plan and I managed to take game two. Game three saw me slam my opponent’s Scrap Trawler with a sideboarded Magma Spray and sent that sucker to exile. I then proceeded to slam all three copies of Harsh Mentor in the face of my opponent’s Aethersphere Harvester. He managed to kill two of them but the third one stuck around. He took two damage to crew it and two damage to give it lifelink, gaining three but taking four is better than just taking two I guess? Regardless, the harshest of mentors put on quite a solid showing and secured me the victory. This was a good week for us. A lot of close games with a lot of solid decks and fantastic pilots. My heart still resides in the modern format but it’s good to stretch ones legs a wee bit into other ventures of the broad umbrella that is Magic. Maybe I should built a legacy deck? Leave a comment on the Facebook post about what legacy deck I should build! Woe Fella! A good night for you! FNM Report; October 12th 2018 & Undergrowth Deck Tech.